This is definitely the best time to have ever thought something was cool before it totally blew up. 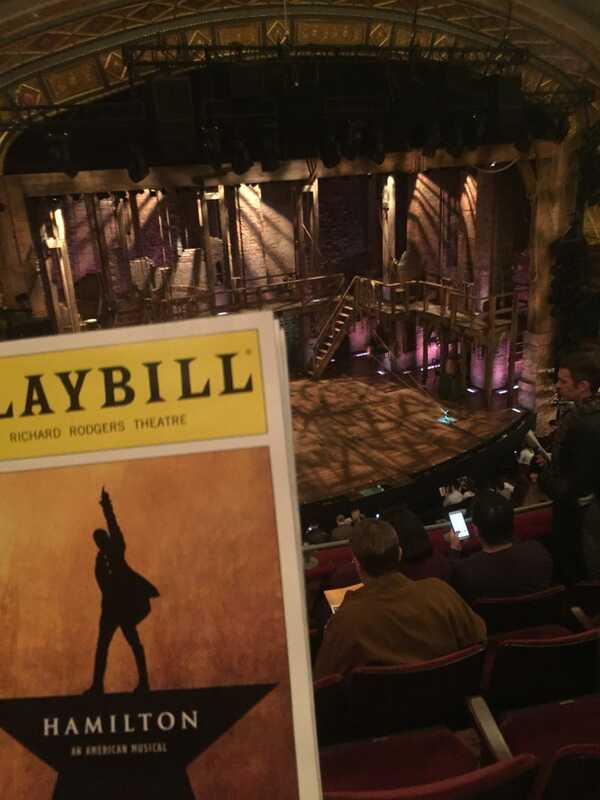 I would never be able to afford Hamilton tickets now, but I could afford Hamilton tickets for a show six months in advance, before the soundtrack came out. Six months of anticipation and it totally lived up to the hype. We had understudies for Washington and Angelica, but oh my god we got to see Lin-Manuel Miranda and Jonathan Groff and have I mentioned that I am now completely obsessed with Daveed Diggs? I also refused to listen to the soundtrack until I got to see it, so it was all new and amazing and I'm so excited to listen to the soundtrack on repeat now.